Earth is quickly becoming uninhabitable. Our planet is suffering from multiple problems: overpopulation, mass starvation, wars, food/water and energy shortages, pollution, catastrophic weather, and economic distress. 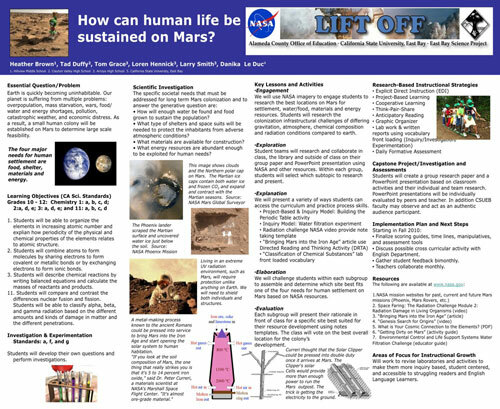 As a result, a small human colony will be established on Mars to determine large scale feasibility.